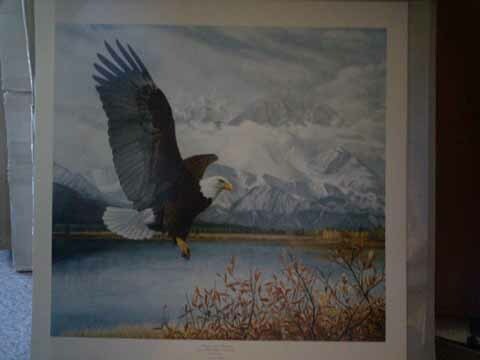 Northern California's Largest Selection of Wildlife Art, Western Art, Contemporary Art, and American Indian Art, Selling original art, signed and numbered lithographs and prints. Custom picture framing, art and frame restoration. Dealerships: Greenwich, Millpond Press, Hadley House, Lightpost/Thomas Kinkade. Please call to take advantage of our Fantastic Specials! Second Star To The Right And Straight On Till Morning is A signed by Artist Lithograph priced at 600.00 and $700.00 with a co signed signature by one of the actors of the original star trek series. We are A authorized dealer. This product was added to our catalog on Thursday 06 June, 2013.